A true classic totally unpeated Sherry dram from Glengoyne. Dried fruits and sweetness in the smell. The age makes it very elegant, and it is not just a Sherry monster, but a gentle giant with just as much focus on the sweetness and oak influence. The taste is exactly what I expected after I first smelled it. What a great balance! Dried fruits and oak. Dates and sweet raisins while tannins tickles your palate. The finish is just a pleasant continuation, but some hints of tobacco is now noticeable. 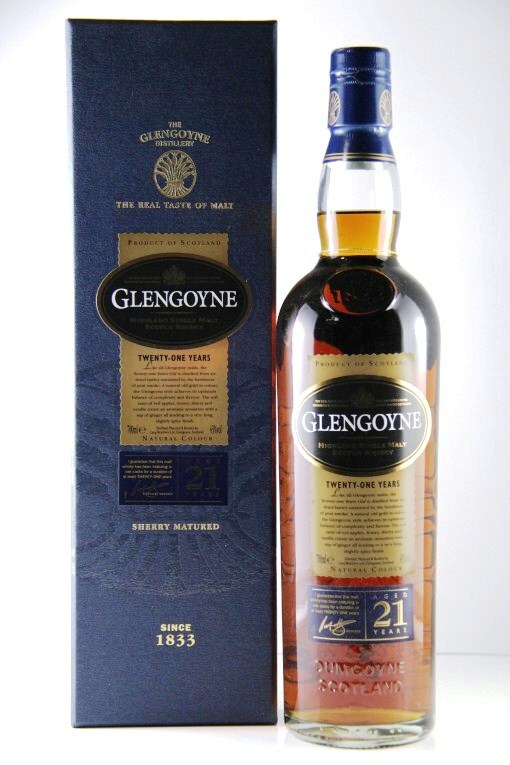 Glengoyne 21 year old just works for me! Great balance and great complexity! Goes great with a cigar by the way! One of those drams that are a bit dangerous because you can just sip away. I will give this 90/100 (22/23/22/23).